Tropical Mix - Salsa, Bachata and Hawaiian Cuisine ! Bailamos ! 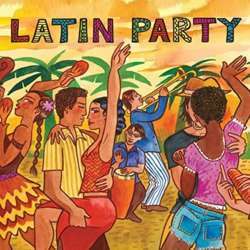 If you are hungry of Hot Latin rhytmhs dance, music, and tropical feeling, without leaving the city - together with International Salsa Meetup - We invite you to join this event. First, let's eat together at Protected content - Hawaiian Cuisine serves delicious, vibrant and healthy food – the freshest poké bowls in Berlin! !!! Only for INTERNATIONS till 20.30 o'clock Protected content % DISCOUNT for the dinner !!! After the delicious dinner swing your hips, rise up your hands and dance like El Caballero. Free Entrance till 20:10 o'clock, after it costs 12 Euro. If you want to meet new people, dance salsa and have some drink, JOIN US - fun guaranteed! You cannot find a dance partner? then just come and find your partner at our lesson! Please note! Bring cash, no credit card accepted (the entrance fee after 20.30 o'clock is 12 Euro). Dress code: Casual cloth. No sportswear. If you have dance shoes, bring them with you!